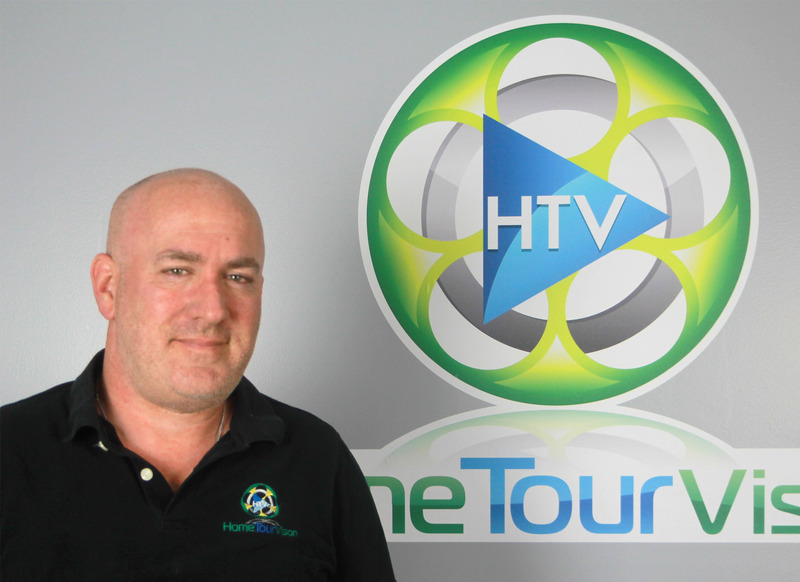 Jim McHugh is the owner of HomeTourVision, founded in 2012. After recognizing the marketing power of visual imagery in the real estate market, he bought his first iGUIDE in 2016 and hasn’t looked back. Going from working out of his garage to owning and running multiple offices with plans for further expansion in several States, it’s safe to say that Jim’s business is seeing “Skyrocketing” growth. Read on to see how he did it! Jim McHugh is sitting in the new offices for his company HomeTourVision thinking about expansion. “So the goal over the next 24 months is to expand into another three to five markets or states,” said Jim. North and South Carolina and Florida are priorities for expansion. He also wants to diversify his real estate photography business by providing floor plans and virtual tours for commercial properties and other businesses. In early 2019, Jim acquired a company in the lucrative and competitive real estate market in Boston, Mass. He is running flat out on a growth curve that started in 2016 when he bought his first iGUIDE. “It really sky-rocketed the business, tremendous growth since then,” said Jim. He now has five iGUIDEs and plans to buy more. “It allowed us to compete with bigger companies, the national companies. It lets us actually take business away from some of these companies,” said Jim. The photographers working out of his new office in Florida, New York share three iGUIDES. The village of Florida is in Orange Country, New York — not to be confused with the Sunshine State where Jim wants to open a new office. Florida, N.Y. is ideally located for serving the real estate markets of the Hudson River Valley, New Jersey, and Connecticut. The three photographers working in his Boston office all have iGUIDES. “It allows us to do floor plans without having to sit there ourselves and measuring. I don’t have to teach our photographers to measure, their job is photography,” said Jim. “The iGUIDE system does it by itself, it does it with amazing accuracy and speed,” said Jim. “To be able to go into any market, any home, and provide them with a floor plan and tour, there is no one who can touch us, who can be that accurate and that quick,” said Jim. A couple of years after the start of the Great Recession, Jim needed a new way to make a living. He became a real estate agent. Jim realized the agents and brokers in his area were not into visual marketing. He thought that was a missed opportunity. So he was taking a lot of photographs and video. He remembers taking a call from an elderly couple. The bank was foreclosing on their home of 47 years. Could Jim take some pictures and video of the property before they moved to help them remember it? Jim had no idea, but that video would change the direction of his professional life, fast tracking it to the big leagues. The realtor who had the listing for the elderly couple’s home saw the video, and immediately realized the marketing potential. That realtor called Jim and asked if that video would work on the MLS. “And then everything just fell into place from there,” says Jim. Jim went from selling homes and into the real estate photography business. He founded HomeTourVision in 2013, based out of his garage. He was soon busy providing pictures and videos for other agents and brokers. Business was good, and in 2015 Jim moved his company into its first real office in Chester. Clients kept asking Jim for floor plans, and he tired out all the available options. Nobody liked the results. Nobody wants to do the measuring by hand and make sketches on paper. The online products at the time were cumbersome and hard to use. Then in 2016 he heard from someone at Inman Connect, the real estate industry’s annual technology and marketing conference that attracts more than 4,000 delegates. The friend told Jim to check out iGUIDE. Jim bought his first iGUIDE after one phone call to the Kitchener, Ontario, Canada, company that makes the smart cameras and back-end system that displays the interactive floor plans and virtual tours. The iGUIDE camera is mounted on a tripod and controlled by the agent’s smartphone or tablet. It uses lasers to get accurate measurements of each room. Within a day, the information and photographs are displayed on the client’s website. The floor plans are on the left side of the screen. Home buyers click on a room, and see the 3D virtual tours and 360° virtual tours on the right. It is easy for the agents. It is easy for the consumers. Nobody offers anything close, said Jim. “We are going to start a sister company to HomeTourVision, and we are going to get out and attract more commercial properties such as hotels and different kinds of businesses that take advantage of Google Tours that we can do through iGUIDE,” said Jim. In March 2019, he moved HomeTourVision into its bigger, current location in Florida, NY. Like he said, the iGUIDE camera skyrocketed his business.